Welcome warmth for hostile conditions. 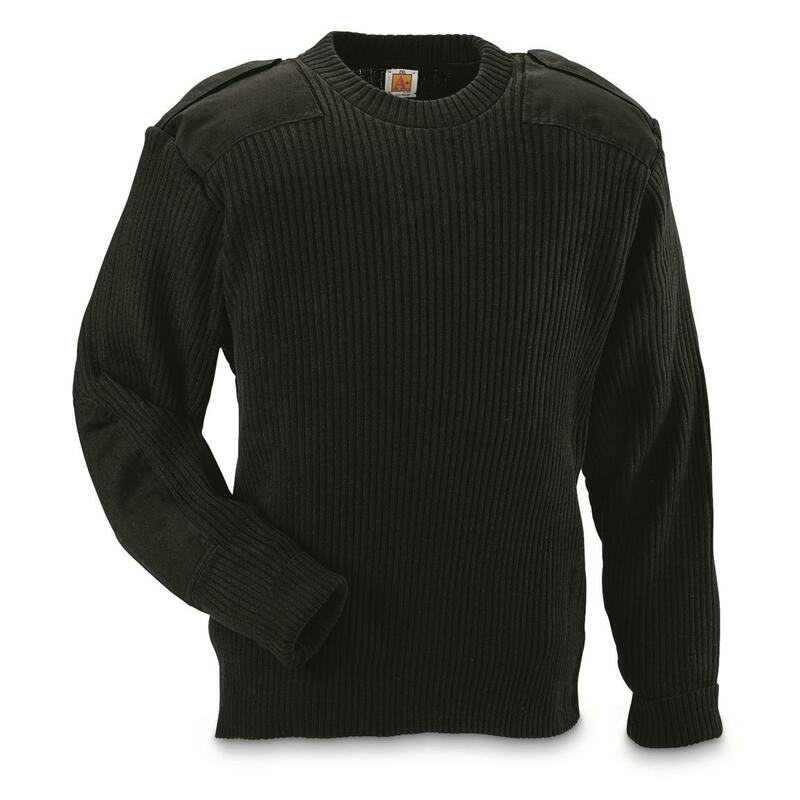 The classic "alpine sweater," as issued to generations of irregular units in cold or mountainous territory. These are 100% acrylic synthetic, for easier cleaning and long-lasting durability. Sewn to precision U.S. military specifications. Reinforced shoulder patches not only resist wear, but also reduce friction from outer layers, backpack straps, and when shouldering a firearm. A must-have piece of gear for hunting, exploring or cold weather chores.